Science is the process of generating knowledge from existing data and information; so harnessing the potential of their ‘big data’ is the natural next step for pharmaceutical scientists. It’s good timing too. The pharmaceutical industry is facing a difficult time, with fewer successful drug launches and expiring patents. According to one report, the average cost of developing a new drug is $4bn over 12 years – with only 1 in every 10,000 experimental compounds making it to market. Tougher regulatory requirements and increased competition to the pressure, meaning good decision-making with reliable data analysis is more important than ever. 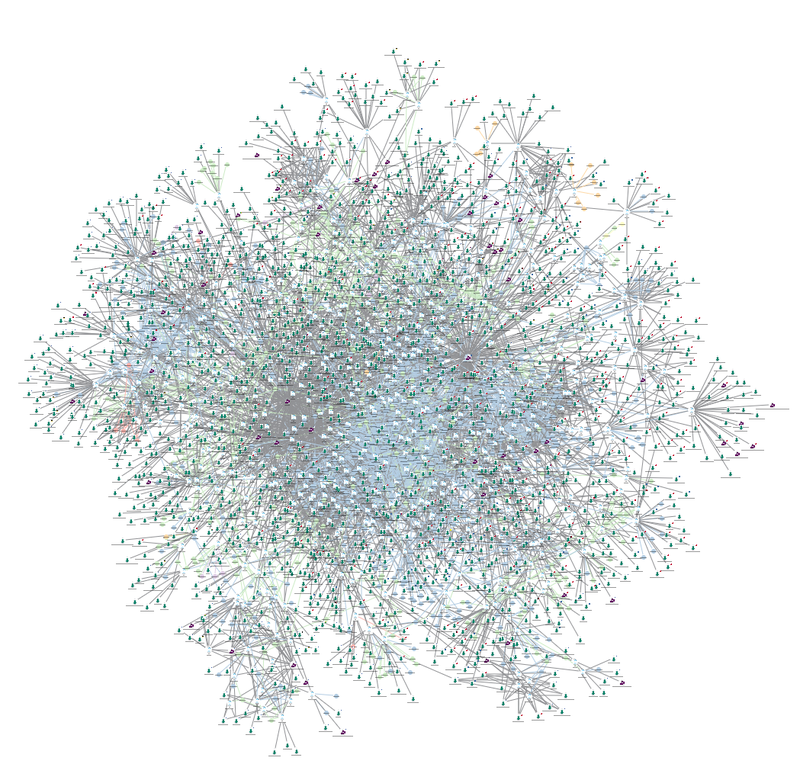 Our white paper introduces the topic of network visualization and the KeyLines toolkit. Bringing a drug to market relies on the identification of connections – between a chemical and an effect, agent and a disease or a drug and a market opportunity. Once these connections have been found, pharmaceutical companies can find a way to exploit them. As research volume and data availability grows, these connections have become more abundant, but also more difficult to detect – buried inside meaningless and ‘noisy’ raw data. This is a heavily data-driven process, often with hundreds of research groups working on projects simultaneously. The ability to visualize the connection between research and results can help avoid effort duplication, identify gaps in understanding and generally ensure discovery is more cost efficient. The pharmaceutical industry is competitive, with thousands of patents registered each year. Understanding competitors, their intellectual property and product pipeline is essential for making the right product decisions. Network visualization can make this complex data, and how it all connects together, simple to understand. 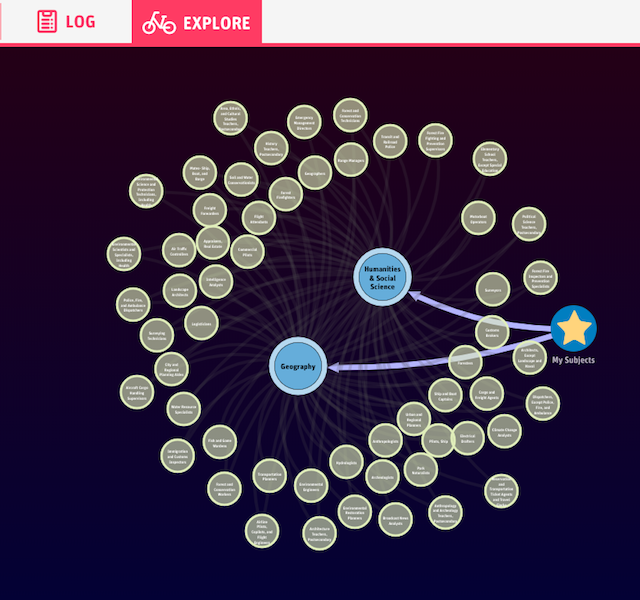 A KeyLines visualization of the connections between organizations and patents. Confirming there’s a market for your product is equally important. Network visualization can help see how patient data, health records, drugs advisories and other external data may affect your sales forecasts. For drugs that make it this far, ensuring a conclusive trial is key. 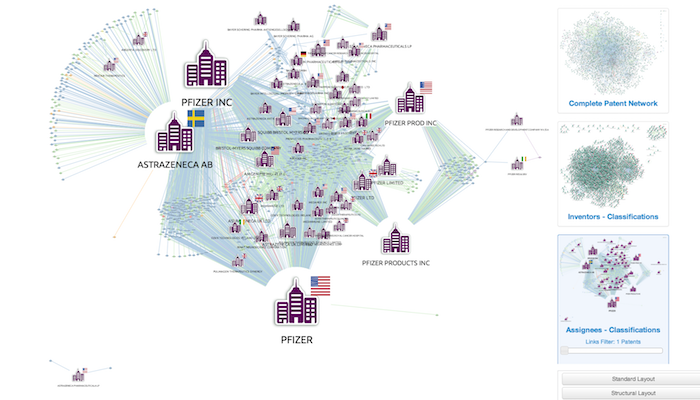 Network visualization techniques can help find potential participants with the correct profile, analyze trial results and ensure overall vigilance. Successful drug discovery and trialing requires excellent data management. Teams, often dispersed across multiple groups in different sites across several countries, require fast and easy access to the right data at the right time. This requires integrated data management systems, unhindered by data siloing between teams. Poorer resourcing decisions – decisions taken without 360-degree situational awareness are unlikely to be optimal. Duplication of effort – with no central unified knowledge base for disparate teams, effort is bound to overlap. Clinical trial wastage – drugs should only be taken to expensive clinical trials if they meet viability criteria based on full knowledge of the data. 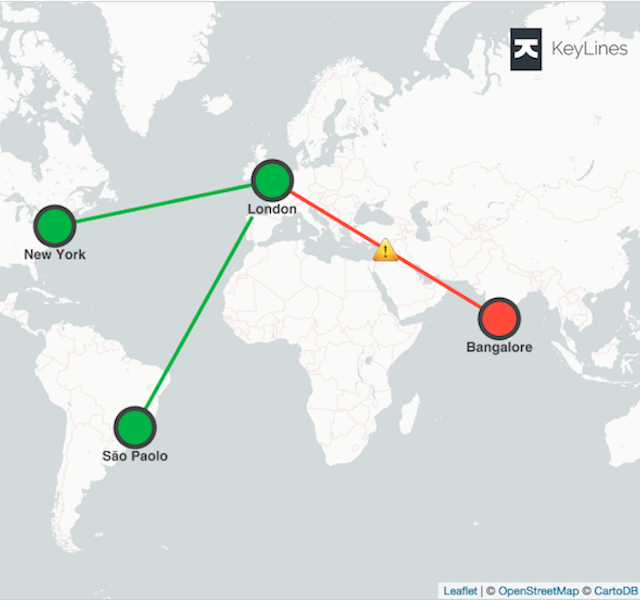 KeyLines is a flexible toolkit for building you own custom network visualization applications that run entirely in a web browser. 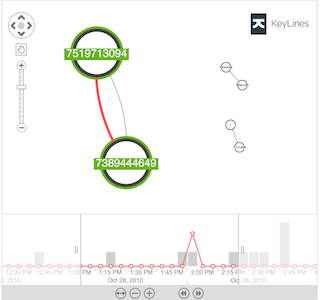 Using KeyLines, you can integrate sophisticated network visualization capability into your own organization, either as part of existing software dashboards or deployed as a standalone application. This is a huge benefit for companies who want to harness the benefits of data visualization and analysis throughout their organization, without expensive integration projects and staff training.